There´s quite a hype surrounding Android on a daily basis. The green robot has become a major part of the news for quite some time now and its image is gaining popularity of iconic proportions in the cell phone world. The platform has one major advantage over its rivals – it´s open-source. This allows more and more developers to jump on the bandwagon and contribute to its fast evolution. Version 1.6 (also known as the policeman´s temptation) has just been cooked and the operating system has made not just a step, but a major leap forward in terms of supported hardware and can now run on a wide variety of handsets, regardless of the particular screen size and native resolution. 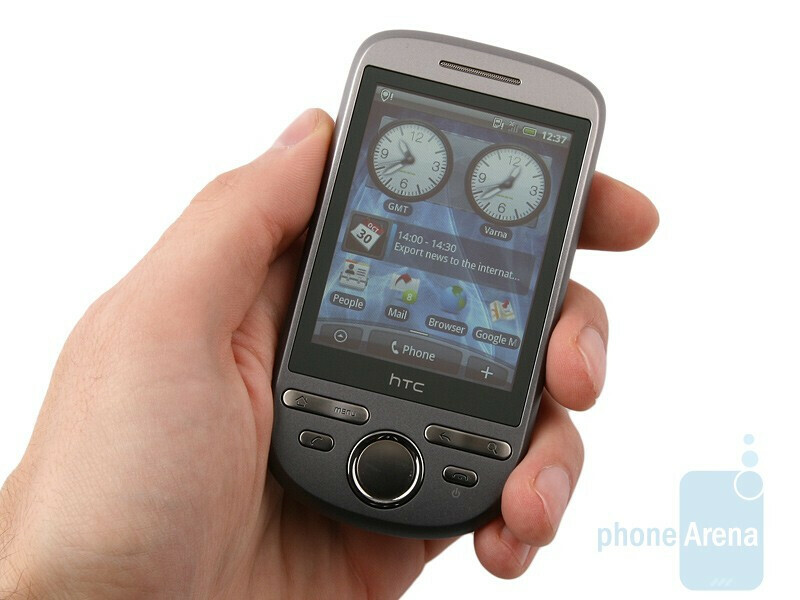 And this leads us to the subject of the current review – the HTC Tattoo – the latest Android-based addition to the product catalogue of HTC and the first one ever equipped with a 2.8-inch display with a resolution of 240x320 pixels. 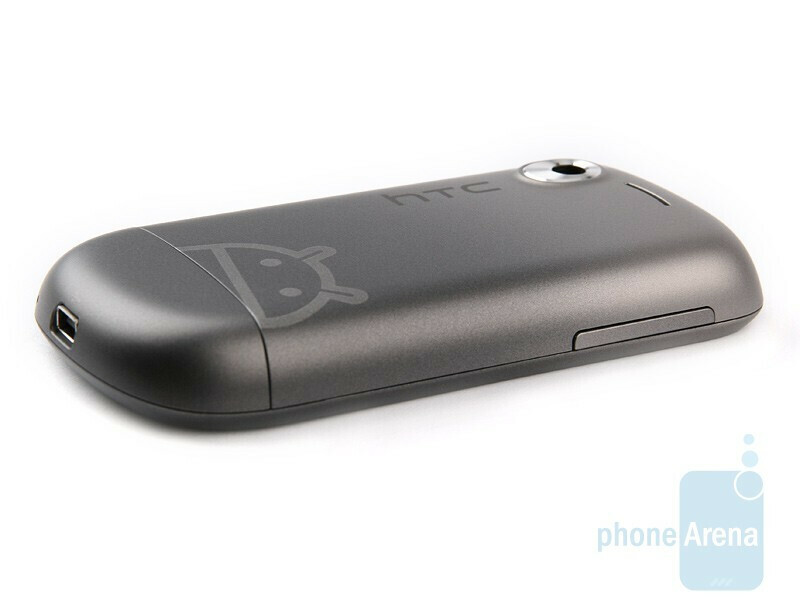 Considered an affordable option for people on a tight budget, you can see the manufacturer has made several hardware compromises to keep the price of the HTC Tattoo low. Read on, because the current review will answer the question whether or not the charm of the likeable and compact Tattoo would be enough to make up for its technical imperfections. We have already told you the HTC Tattoo is a compact smartphone, so one would think the smaller size would have made the handset easy to use with one hand. In reality, however, this is not the case. It´s not that you can´t actually use it in such a way, the thing is we have seen cell phones that are much easier to operate. The main reason behind the problem is the rounded lower part of the body that simply doesn’t allow for a proper grip. Paired with the slithery plastic it´s made of, the smartphone is extremely easy to accidentally slip out of your hand. Fortunately, HTC seem to have staked on proper build quality and tightly fitting parts, because even removing the back panel requires some strength. You can compare the HTC Tattoo with many other phones using our Size Visualization Tool. 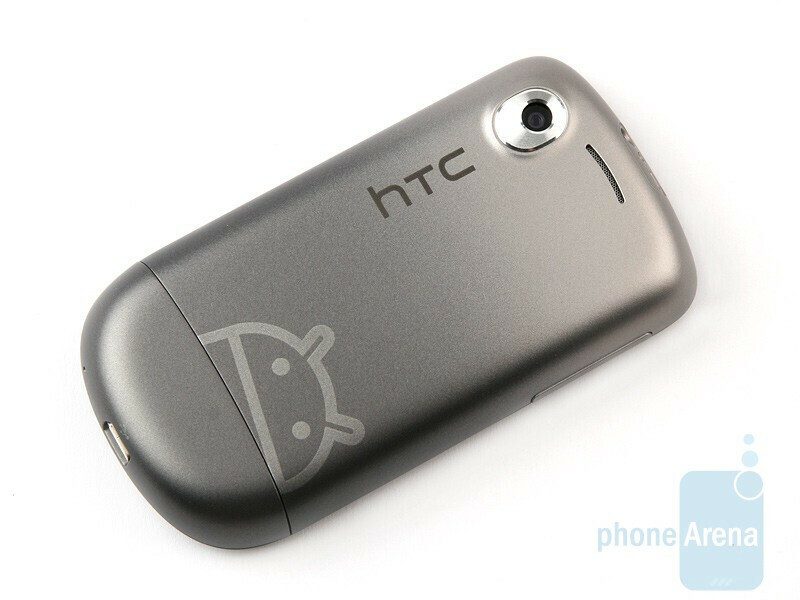 The major compromise the manufacturer has made relates to the screen of the HTC Tattoo. With the modest 2.8 inches it measures, it´s not only smaller than what´s considered mainstream for today´s “androids”, i.e. 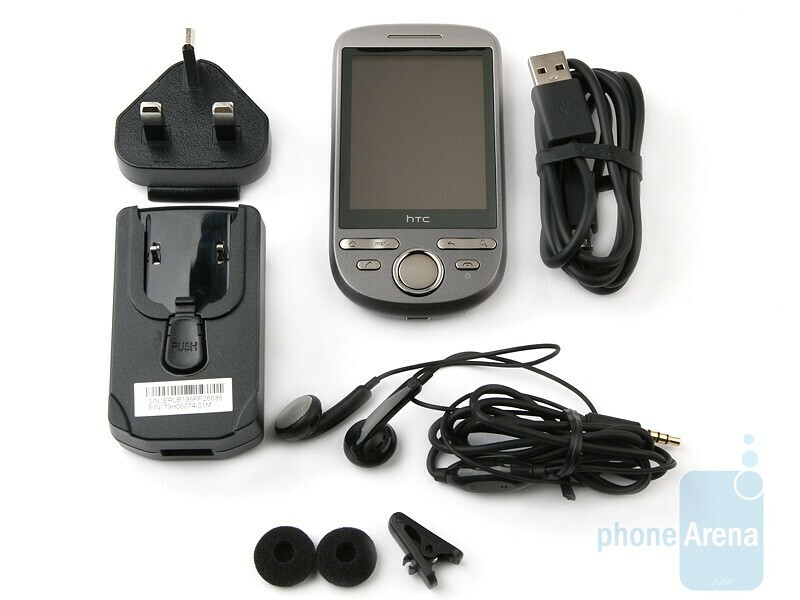 3.2 inches, but also comes with lower native resolution – QVGA, instead of HVGA with the latter being pretty much the contemporary standard for the Android platform until now. To top it off, HTC has equipped the phone with resistive and not capacitive screen and as you can expect, this has definitely affected the overall ease of use and sensitivity of the display negatively. The manufacturer claims the issue is due to no other thing, but the smaller size of the screen. We believe this sounds rather unconvincing, given Android has been optimized for bare fingers and the only logical explanation is the manufacturer has cut corners trying to slash costs. Anyway, the final result is not just lower quality, but certain software problems, but we will tell you about them later. The D-Pad is easy to use and so are the send and end keys on its either side. The backspace and search buttons feature pleasing travel as well, but unfortunately, the latter doesn’t apply to the key that takes you to the home screen and the “menu” key. The volume rocker is on the left hand side of the handset, the 3.5mm jack is on the top and the microUSB port - on the bottom. 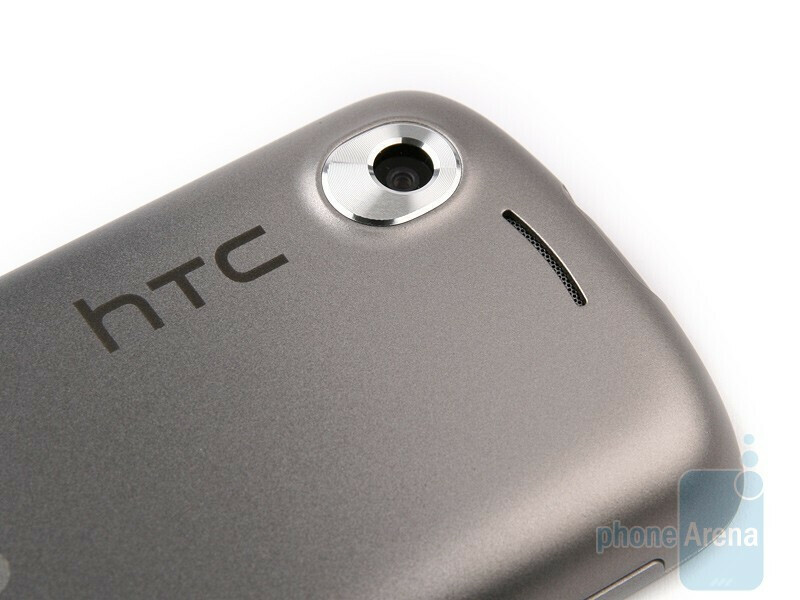 The back side hosts the 3.2-megapixel camera that we don’t expect much of. There is a picture of the iconic green robot next to it, but as you probably know, HTC has recently started a dedicated service that allows HTC Tattoo owner hopefuls to unleash their creative thinking and come up with their unique designs. Cool! Still... keep in mind the indisputable pleasure of personalizing the appearance of your future handset will set you back with extra 15 EUR. Looking at the HTC Tattoo, we do like what we see, because it´s the first Android-based handset that comes with a jazzy, offbeat overall design, therefore we need to congratulate HTC on their creativity. This is, however, a far cry from the way we feel about the display. How come? You have no idea, just keep reading, because the most interesting part is yet to come. I have bought the HTC Tattoo last week...It used it for one day. Then I returned it the following day to the store. The phone is very bad. The bluetooth does not work at all. The Android market is closed for Middle East so I can not download any programs. The email configuration could not be done. I have tried many times but no luck. Touchscreen is very bad. Sending sms is a nightmare. To sum up I certainly advise any one who wants to buy a cell phone...KEEP AWAY from HTC Tattoo.